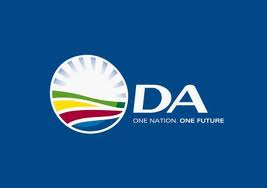 In a reply to a DA parliamentary question the Minister of Labour, Mildred Oliphant, revealed that there are currently 16 government officials within the Department of Labour who are on suspension with full pay, costing the taxpayer R5.2 million to date. I have written to Minister Oliphant requesting her to commit to a date by which these disciplinary hearings will be conducted, so that the 16 suspensions can be concluded as soon as possible. In terms of the Disciplinary Code and Procedures for the Public Service, prompt investigations must be conducted and disciplinary hearings must be held within 60 days from the date of suspension. This is clearly not happening, and with a public sector wage bill amounting to a staggering R439 billion per year, government must do all it can to mitigate such unnecessary expense. One of the 16 suspended is the Department’s Chief Director of Legal Services, Advocate N. Phasha, who has been suspended with full pay since October 2011. With a monthly salary of R82 346, his “on-going” suspension has to date cost the state a massive R3 376 186. The Department of Labour by nature should be the forerunner in disciplinary processes, leading by example. Yet it is unable to adequately deal with its own internal processes – Advocate Phasha’s 41 month suspension being the prime example of this. It is unacceptable that ordinary tax paying South Africans are footing the bill for a host of suspended employee’s salaries, placing an unnecessary strain on the public purse. Minister Oliphant must act with urgency to resolve this mess.